Sibell was established in 1988 as Délichips, and is located in Aubagne ( Bouches-du-Rhône ). It is a small Potato Chips and snacks manufacturer and mostly provides private label products. It does however have its own range of Potato Chips. It also has around 200 employees that make 8,100 tonnes of Chips a year, and achieves an estimated 30 million Euro in turnover. The company bought out its more historic rival Sibell (established in the 1950s) in 2003 and assumed that company name. Sibell is a relatively small label in comparison to France’s major brands; Lay’s, Vico, Flodor and Bret’s, but it benefits from the proximity of a large tourism consumer market in its region. The manufacturing plant covers an area of 5,400 square metres, with three lines working continuously to process product. The company is in discussion about an additional production line. 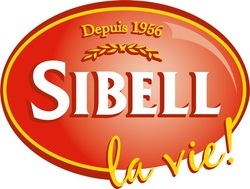 Sibell claim to be the first French Chips manufacturer to use sunflower oil in their cooking process. They use all natural ingredients. As the branding continues to grow, the company have begun to export to Italy, Belgium, Germany, Switzerland, Malta, South Africa and Mexico.